Searching is not an easy task but is a skill that comes along with few easy tricks that allows users to get their questions answered accurately. A reason for searching not being an easy task is that there are reportedly over 1 Billion websites on the world wide web as given in the Internet Live Stats. 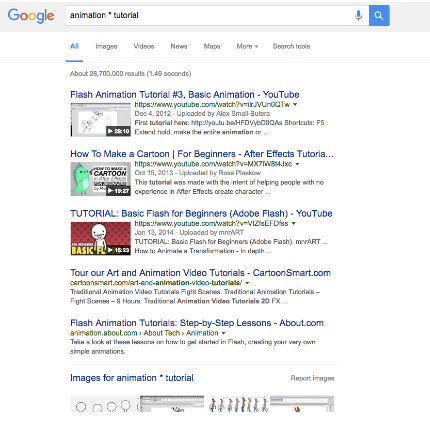 No matter how well the Google’s algorithm work, but even then getting a question answered accurately becomes difficult. However, there are other ways to explore Google that help digging its database in the right holes, and below we’ll cover those 5 essential steps that include tips and tricks to help you refine your search. There are not at all complicated and can be used by anybody who is looking for specific answers over the web. 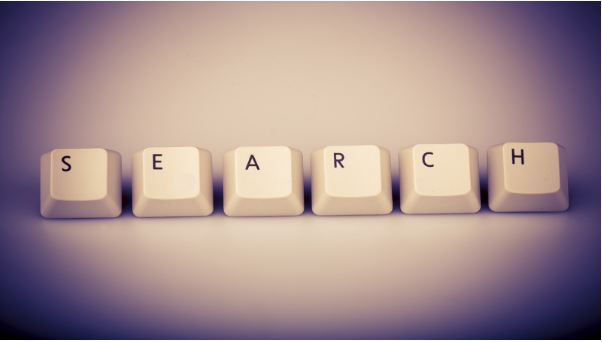 People type in the keywords that marks the basic step of any online research. A common problem that is encountered is that people key in less than five keywords. Given that the internet is vast network that hosts over a billion sites, the search results get become diluted if people input a few words. For those who are not aware, search engines would return results containing any of the keywords that you typed in, regardless of the order in which they were entered. Of course, Google being the smart tool, would list down the results in a manner where pages would contain most of your keywords, or they would consist your keywords in closer proximity. An intelligently ranked ordering for your results. However, if you expand on the number of keywords entered to at least 5 to 7 keywords, search engines will narrow down your search results to the best matching answer to your question- most relevant websites will be returned. 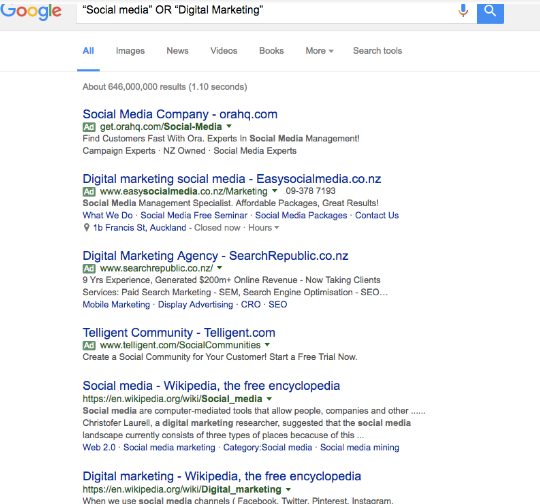 What if you are not sure of what keywords to use? You might consider using the * to expand on your search. The use of this symbol in the search query is that when you place it with a combination of keywords, the results on the SERP are returned with multiple word combination you’ve keyed in. For example if you enter animation * Tutorial, you’ll get sites with the phrase combination of these keywords in accordance of their relevance. This method is specifically useful for users who are looking for ideas related to certain keywords, but isn’t sure of where to start. People who are looking for specific answers over the web can do so by simply telling Google to search websites with the exact order of the words. For this purpose you need to type in your query within double quotes (“ ”). For example, if you want to search for a particular book, movie, recipe etc. by its name, then use double quotes to enter your text. 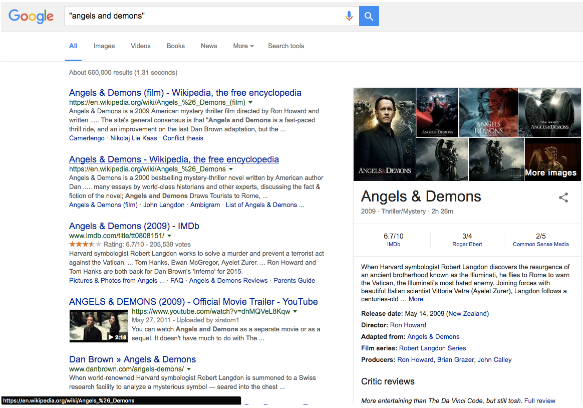 We entered “Angels and Demons” and we got the results we were looking for in the same order of keywords. OR operator is used as an addition tool, which means that the search results should contain at least one of the keywords that were entered by the user. The difference with the OR operator is that you can define keywords or phrases with quotation marks rather than have the search engine search for all the words you typed in. How this works, let me show you: Let’s say you enter “Social media” OR “Digital Marketing”, now Google will return results that consists of either “social media” or ”digital marketing” or even both. The minus “-” is useful if you wish to exclude a particular word or phrase in your search. This is valuable when you are searching for exception to what search results would typically produce. There might come a time when you are stuck on one particular site but has multiple functioning problems within it like broken search function or confusing search results. To make it worse, it might also happen that the site has no search option available at all. Now what will you do if the information you are looking for is available only on this site? Don’t worry, Google allows you to search within a certain site, as long as the site is indexed by the Google. To search within a site using Google, all you need to do is input the search query into the Google and also provide Site:domain name. Note: After entering a query, it is very important to key in site:company’s website, else Google will search the other websites as well, which again would return irrelevant results.